Criteria for the selection of professional staff for witness protection units, new challenges and trends represented in the cyber world, and the reintegration of protected witnesses were some of the main topics at the 15th Europol High Level Expert Meeting on Witness Protection, held in Rome, Italy, on 8 and 9 April 2014. Speaking about the conference, Italian Interior Minister Angelino Alfano said: “Witness protection is crucial in the fight against organised crime and terrorism for Europe, and especially so for Italian authorities in the fight against mafia-related organisations. Nowadays, organised crime and terrorist groups act in entrepreneurial terms, using modern technologies – this requires a professional response, as well as harmonised and common support methods to successfully fight those groups”. During the two day conference, senior experts on witness protection discussed selection criteria and training needs of witness protection officers. The staff of such units need to fulfil a wide range of tasks, as they are the 24/7 contact points for protected witnesses. Taking into account that the majority of these witnesses are insiders from criminal or terrorist organisations, witness protection staff must be selected on a multidisciplinary basis. They have to perform the complex functions of social workers, psychologists, body guards and IT specialists during their daily routines. These are very challenging tasks, which require a high degree of commitment from staff. As a consequence, their recruitment deserves careful and professional selection and supervision. “Organised crime and terrorism requires a cross-border approach and common understanding. Witness protection in the European Union is a key instrument for such cooperation and Europol, as the law enforcement agency of the EU, supports this project with high priority. The Italian witness protection programme is a leading example in Europe of how to introduce this instrument into the national legal system in a professional way,” said Rob Wainwright, Director of Europol. The conference in Rome was officially opened by the Director General of the Italian Police, Alessandro Pansa, and the Director of Europol, Rob Wainwright. The annual conference was attended by more than 100 senior witness protection experts, coming from almost all European Union countries, as well as all continents around the world. There were also delegates from the International Criminal Court, the International Criminal Tribunal for the former Yugoslavia, the special tribunals, the European Commission and the United Nations Office on Drugs and Crime. 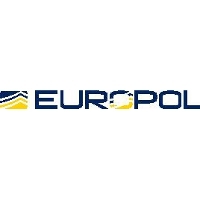 The Europol network on witness protection was established in 2000 and consists of designated senior experts from 64 countries, international organisations and special tribunals. The high level expert group meets on a regular basis to standardise and harmonise witness protection processes and procedures. It is the largest worldwide collaborative network in witness protection.